If a hydraulic motor is part of your system needs, our certified hydraulic specialists will help you make the best choice. We use your application parameters such as speed, torque, and pressure limitations to select a motor that offers the highest value. From gear motors to bent axis piston motors we are confident our broad product offerings address your application needs. Call us today at (800) 257-1155 to learn more about our engineering services. Our closed circuit hydraulic motors provide unmatched power for heavy machinery. Browse the manufacturers below for datasheets and technical specifications. 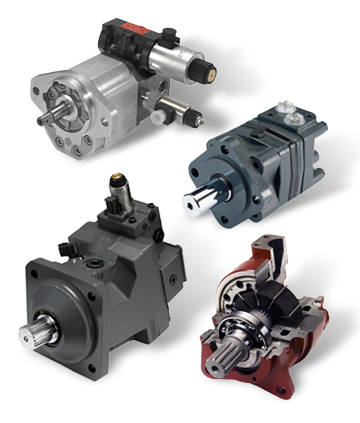 Kraft Fluid Systems offers gear, LSHT, vane, and high power piston motors. Our certified hydraulic specialists help you select the right choice for your mobile application. Contact us with questions about integrating our hydraulic motors into your system.